BELIZE CITY, BELIZE, Wednesday, 30 May 2018 (CRFM)—On the conclusion of its second fisheries value chain management training workshop, which was held in Port of Spain, Trinidad during 22-24 May 2018, the Caribbean Regional Fisheries Mechanism (CRFM) and its Workshop partners were delighted with the level of public-private sector sharing and engagement that contributed to a very rich learning experience for all participants. In their evaluation, several participants stated that the Workshop content was ‘relevant’ and ‘very useful’ and that it was ‘an eye-opener’, especially with regard to experiences in Iceland and the region about identifying new products and markets that ensure all parts of the fish catch are used for maximum economic gain, and even for ‘making more from less’ when necessary. Eleven of the Workshop’s 21 participants were senior representatives from the processing arm of the fishing and seafood industry. 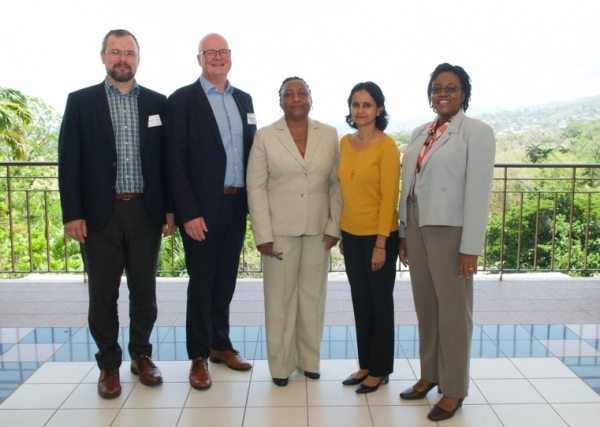 Moreover, two CEOs, Mrs. Allison Butters-Grant of Global Seafood Distributors, and Mr. David Lanser from Trinidad Seafoods Ltd., shared key lessons and success stories from their long years of experience working in the industry. Lanser and Butters-Grant each highlighted the importance of maintaining a reputation of being a processor associated with a good quality product, while both also lamented that if they rejected fish in poor condition, fishers would often sell the sub-standard product to another processor at a lesser cost. Lanser also took the opportunity to highlight concerns about a possible decline in supplies of fresh fish in Trinidad. This was a potential stumbling block for further development of any fish processing business, as the Workshop acknowledged that proximity and quality of the fresh product and raw material were vital for the best quality, price, and diversity of end products. According to the Iceland experience, the diversity of end products from fish raw material is huge, as Iceland makes products like fishmeal for the aquaculture industry, fish oil and fish calcium for use in human dietary supplements, other fish extracts for use by the cosmetic and medical industries, and fish leather for the fashion industry. Iceland, through extensive industry research support, continues to explore new fishery products, as well as new options for making their entire fishery value chain more efficient in terms of mechanization, time, and use of renewable energy. Wrap-up discussions yielded very rewarding exchanges and recommendations. Private sector participants proposed that future training sessions should include at least one field exercise, and spoke about the need to include fishers as well, perhaps beginning with examination of an entire value chain for a specific, selected resource/product. On the other hand, public sector personnel had recommendations pertinent to their own area of work – they identified the need for future policy setting to facilitate more holistic approaches to support value chain management and value creation for the industry, and also the need to improve the timely flow of public sector information to the private sector. 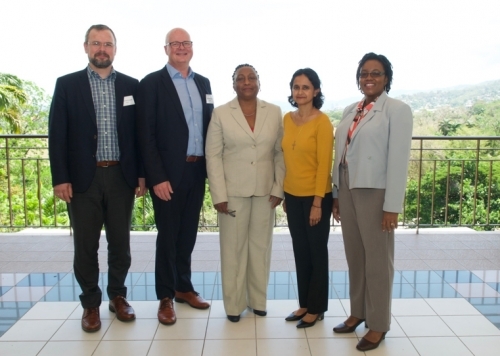 For this Workshop, CRFM had teamed up with the United Nations University Fisheries Training Programme, the University of the West Indies (UWI) St. Augustine Campus, and the Caribbean Fisheries Training and Development Institute (CFTDI).